Advanced technology and functional beauty are combined in this stunning 10-hole diatonic harmonica, the all-new Suzuki MANJI Harmonicas. 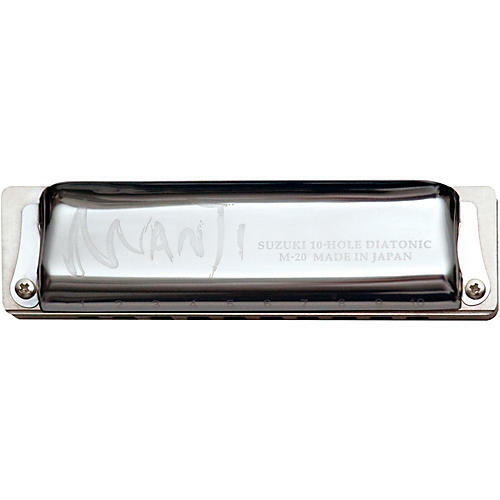 This revolutionary new diatonic harmonica is named after Mr. Manji Suzuki, the company's founder - now in his late 80s, but still very much in charge. He started with a single hand-built model 70 years ago, and has built Suzuki up into one of the world's premier harmonica manufacturers. Harmonicas are Mr. Suzuki's passion and his life's work. The fact he is putting his own name on the MANJI Harmonica is because those 70 years of dedication to perfection are condensed in this one impressive instrument. He is convinced that it will come to be regarded as one of the best harmonicas of the 21st century.